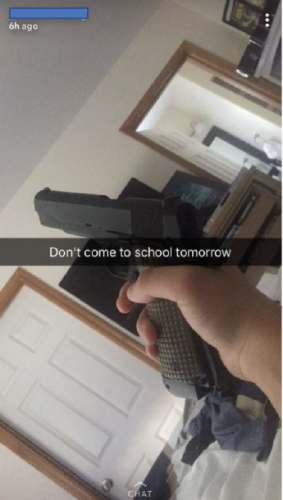 One of the most common Digital Threats we are assisting on: A post on Snapchat saying there is going to be a school shooting. What are your next steps…..? You will leave this training with a better understanding of how to deal with this! Mental health and social media: linkage? Working with Law enforcement in contacting social media companies to obtain critical information during exigent (i.e. articulable life/death) circumstances. “As an administrator in a large independent school, I have been involved in numerous situations involving technology over the years. As the proliferation of cell phones and social media platforms increased, I began to feel less confident in being able to navigate the cyberworld that is so familiar to our students. To increase my confidence, I enrolled in the day-long ‘Digital Threat Assessment’ course offered by Safer Schools Together. The course far surpassed my expectations in providing me with the trends of today’s digital world, and the tools to make sense of them. The course was so impactful because it taught me the skills and then provided realistic scenarios for me to apply them. An unexpected bonus came after the course in the form of shared resources on diverse topics that will surely come in handy in future situations. The next time that I find myself investigating a situation connected with technology, I know that my new competencies will be invaluable. If you are unable to attend any of the scheduled trainings and your district would like to host an in-house training please contact us direct at info@saferschoolstogether.com and we will be happy to discuss your options and provide a proposal.